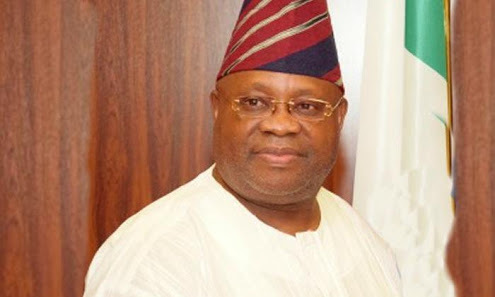 The Peoples Democratic Party has accused the ruling All Progressives Congress of using the police to harass its governorship candidate in Osun State, Senator Ademola Adeleke, over an allegation of certificate forgery. The said rather than being subdued by the APC’s antics, the PDP was coasting home to victory, saying Adeleke’s popularity validated the clear rejection of the APC and its governorship candidate even ahead of the poll. The PDP, in a statement signed by its Deputy National Publicity Secretary, Mr Diran Odeyemi, accused Governor Rauf Aregbesola and the APC of using a series of plots to discredit Osun PDP governorship candidate. The statement read, “No matter how hard the APC is trying to get people of the state behind its largely unpopular candidate, the resolve of Osun people never to vote for the APC remains unchanged. “While the PDP candidate is busy canvassing for votes from different sections across the state, all we have seen from the APC is harassment of our candidate, through police and their other agents. “We can’t be deterred, even with the antics of the APC, which has been using police to harass our candidate because the people of Osun have remained undaunted in their support for the PDP candidate. But the APC, while reacting to the allegation through the Director of Publicity, Research and Strategy in Osun State, Mr Kunle Oyatomi, said the APC should not be blamed for the woes of Adeleke. Oyatomi said the ruling party should not be blamed by opposition party for picking who they referred to as the least attractive governorship candidate, saying his dancing about could not save the party from defeat.